First released in 1956 as 331 P the Fairey Gannet, despite being rather crude was and remains a good kit with lots of potential to super detail and convert. One major draw back is that no cockpit detail exists and rather crude pilots heads are moulded under the canopy. 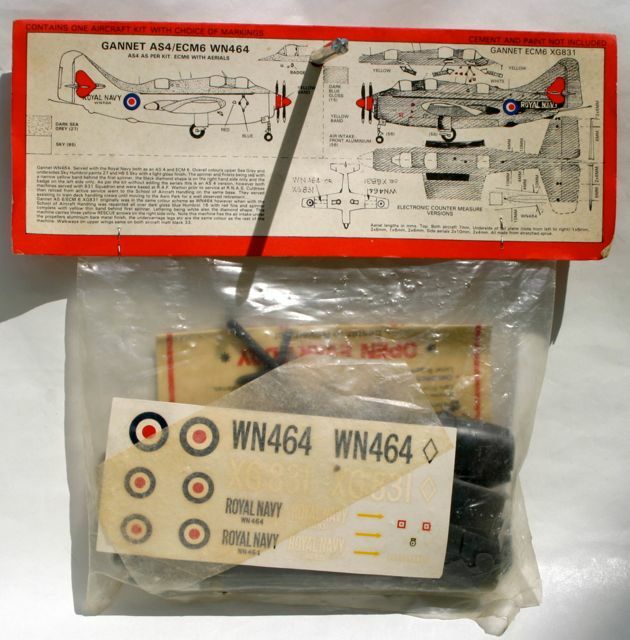 In Britain of the late 1950s Frog models were very popular and the Gannet was considered a true replica of the real Aircraft, remember this was long before computers, the internet or mobile phones! How many of today’s youngsters would even consider a Frog model? The model carried Frog numbers 331P, F331, and F228. Production commenced in Merton in 1956 and carried on to the demise of Frog in 1976. 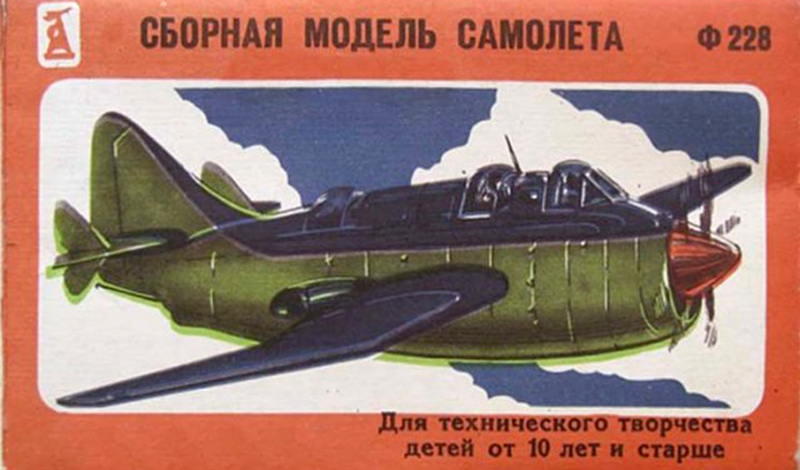 Production continued as part of the Merton to Moscow deal and amazingly the Gannet is still being produced sixty years later, it has been moulded in many different colours from light blue to a rather strange brown but the mould has survived. 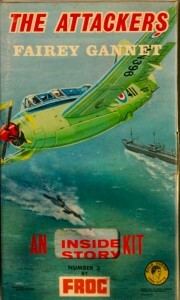 Revell also produced the Gannet. 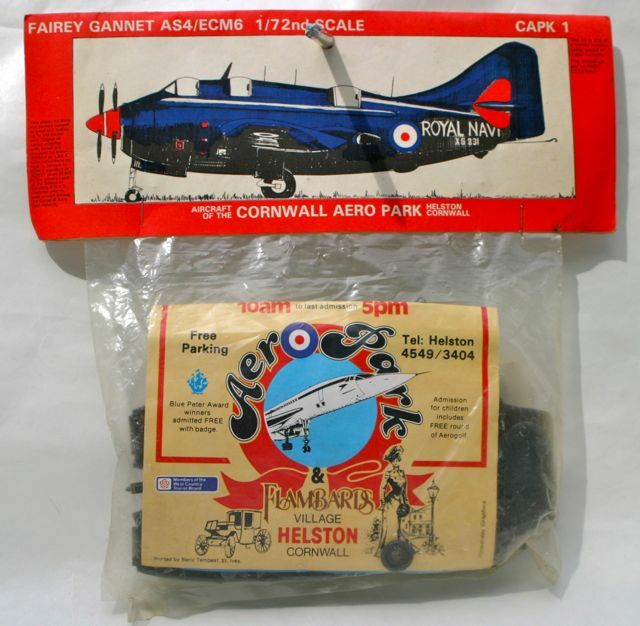 Interestingly the Helston Aero Park commissioned Novo in 1979 to produce a Gannet for sale at the Park to tie in with their exhibit, it carried the catalogue number CAPK 1 Other models were planned to be released including the Seahawk but this does not appear to have happened. The instructions and the insert promoted the Aero Park. The model was moulded in black plastic of a reasonable quality and retailed for £1.50 The original WN464 has been allegedly scrapped. The Gannet is yet another Frog model that has survived from the 1950’s to date, a fine tribute to the mould makers at Merton.